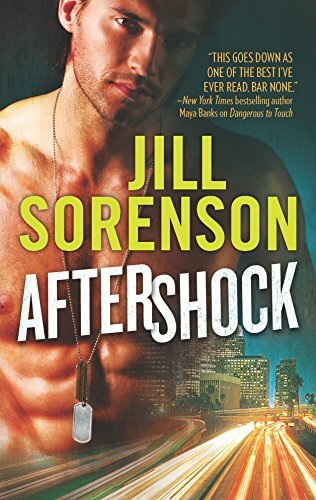 On the surface, Aftershock by Jill Sorenson is what I would call a romantic thriller. It's not really romantic suspense, since there's not exactly any mystery to unravel. It's much more in the thriller vein - you know all the players, you know the immediate danger, it's essentially an action movie in book format. But when I dig deeper, I am struck by how forward-thinking, gutsy and daring this story is. 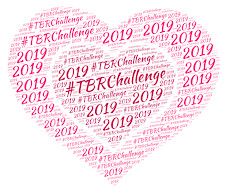 I think back to when I first started reading romance, almost 15 years ago, and I think about what naysayers of the genre always claim: that romance is predictable, never-changing, and a rehash of the same story over and over again. To which I say, read this book. There is no way in holy hell this story would have been touched by any major publisher 15 years ago - let alone Harlequin, who is often (wrongly in my opinion) maligned as a stale, shriveled-up, aging spinster. To anybody who has ever given me crap for what I like to read, THIS is a romance novel. No really, it is. No lyin' and no foolin'. Lauren Boyer is a paramedic in San Diego, California. She was engaged to be married, until she found out her hospital resident fiance had a thing for pretty young nurses. She's now riding shotgun in an ambulance, with her partner, working on the weekend when she was supposed to be having her bachelorette party in Las Vegas. She doesn't have a lot of time to deal on her pity party though, as while they're not-cruising down a gridlocked freeway (girlfriend, I know just how you feel), an 8.5 earthquake hits, effectively collapsing the freeway, various overpasses and what-not, killing hundreds, and leaving wounded survivors. Lauren is one of those survivors, and as the only medical personnel trapped in rubble with seriously wounded patients, she's got her work cut out for her. Among the survivors are a grandfather, his young granddaughter, a pretty massively pregnant teenager, two critically wounded patients, and the hero - Garrett Wright. An Iraqi war veteran, Garrett's life after his discharge from the Army has been anything but smooth. He's wounded man, a haunted man, a man who has made mistakes that he deeply regrets. Now he has somehow managed to survive a massive earthquake, and he's trapped with survivors who need his protection. Now, more than ever really, since it turns out there are more survivors. Um, yeah - there was a prison transport bus not-cruising down the same freeway as well. I really want to sing the praises of this story and the author's bravery and willingness to think outside the box, but it's hard to do that while remaining spoiler free. It's just....really gutsy the choices she makes. It's not Lauren so much, rather everybody else around her - including the hero. It's the very fabric of who he is, the various secrets he is hiding, that add up to some very interesting risks. I also liked how the author literally blends various genres, this story essentially being a mix of dystopian fiction, grisly thriller and romance novel. It's a mix that will certainly not work for all readers (massive earthquake + freeway collapse + trapped under mountain of rubble + violent convicts now somewhat "free" = lots of decomposing dead bodies, serious injuries, various bodily fluids, limited food and water supply, danger and violence), but I found it very intriguing. I also liked that in the single title format the author has the freedom to create an interesting blend of secondary characters to operate in this "new" universe that Laura and Garrett find themselves in. The best thing I can say about this book is that it's like an action movie. The worst thing I can say about this book is that it's like an action movie. Look, action movies are fun. A lot of us really like them. But when we go into watch one, we know that there are certain things we're likely not going to get. Oh, like deep, introspective character angst and development. By the end of the story I felt like I did "know" both Lauren and Garrett, but it takes the whole book to get to that point. Also, there's the question of whether or not readers will buy-in to the love story. I did - but you can certainly make the argument that being in a critical situation, like they were, could muddle things up. At the end of the day I found this an exciting, engrossing read - even the gory bits. I loved the risks the author took with her characters and plots. I loved the way it ended even though I was really sad to let these characters go. To have them walk out of my life. Which is honestly one of the higher compliments I can give any book. There's a second book in the works featuring one of the secondary characters, and here's hoping that there will be a third as well (this one is begging to be a trilogy!). One of the more exciting stories I've read in a long time. It misses my highest mark because I'm unlikely to reread it, but really - this is a great way to start off 2013. Such a good review! And I deeply appreciate your commenting on those who rag on us romance junkies as being willing to "settle" for fluff rather than wade into hefty stuff. Get real, people. 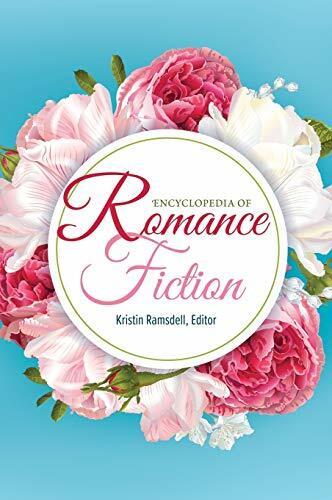 Romance is the stuff of life, the fabric of relationship and as you pointed out, there are books that simply project the reader into some pretty deep thinking. Some of my recent "ah-ha" moments have been because a romance author dealt with a life issue that forced me to look at some things in my own life. And thank you for your visits to my blog from time to time, your remarks and comments are always gratefully received and carefully considered. Missed you at our get-together recently and hope to see you when I visit in late May. Have a wonderful and fulfilling 2013. ...but I think I'll try this one now, see if it's the one that breaks the ice for me. Rowena: Lori really liked it too - so yes, now you have to read it soon! Victoria: It is very interesting - just really different. I can think of a couple of authors who write "action" stories, but mostly in category format. I'd like to see more of it in single title because maybe it would help revive the romantic suspense sub genre a bit! Dr. J: I know people who seem to think all I read is flowery books filled with purple prose - and the irony of that is that I loathe purple prose! I could totally see this book getting turned into a movie. It would work really well on the big screen! I missed all of you guys at the last gathering too. Stupid work :( Stupid Wendy for not falling in love with a rich man! Best wishes on the move! AL: I found this one to be a very exciting read. Once I got settled into it, I didn't want to put it down. Best wishes on breaking the slump. Ugh, those are the pits!